The issue with Kenyan au pairs coming to Germany has been the talk of town for a while and the stories range from alarming to outright ridiculous. 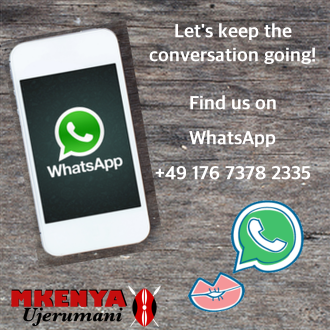 Some claim Kenyan au pairs have been banned from Germany while others claim to even have evidence that the ban is true. Anyhu, I called the Embassy in Nairobi to clear up the air. Here’s what I found out. 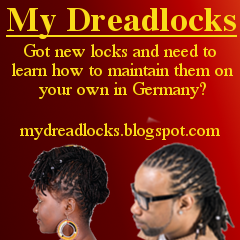 Have Kenyan au pairs been banned from coming to Germany? No. 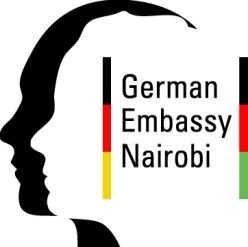 Many German families want Kenyan au pairs but the Kenyans who used the au pair program earlier misused it, so the Embassy has resolved to be stricter in their selection of the au pairs. Each individual is interviewed and this determines whether they get the visa or not. There is NO ban against Kenyan au pairs. We are brother and sisters and want the best for both groups. Very few au pairs are getting visas, what is the reason for this? 1. 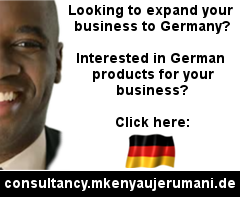 The migration officials in Germany (Ausländerbehörde) have been complaining that Kenyan au pairs refuse to return home despite being told they should only be here for a year moreover, most of the au pairs DO NOT follow the correct procedure as they seek to extend their stay in Germany. 2. German host families have complained that most Kenyan au pairs have absolutely no interest in engaging with the children they are meant to take care of. Most girls immediately after arriving, spend most of their hours online seeking for husbands shortly before escaping from the host family’s home. 3. The migration officials had complained that the Embassy officials weren’t strict enough when checking fluency in German which saw many girls coming to Germany with little to no knowledge of German. 4. There have been many cases of girls lying about their identity and even using fake certificates to apply for the visas. There have been allegations that agents have an advantage in booking appointments, is that true? No. The booking system is open to all. There have been cases though where the agents would book excess appointments under different names and try to hand these appointments to other people. That has been taken care of. Only the person registered for the appointment is allowed to come for the appointment. If that person can’t make it, then the appointment is cancelled. I have been informed that there is a list of agents the embassy has “banned”. Is it possible to access the list of these banned agents/agencies? The Embassy isn’t involved with agents and agencies. The au pairs are judged according to their presentation and their interview, not by the agent or agency that sent them. What evidence can an au pair show that they will be coming back home? The au pairs aren’t required to show any evidence that they will come back. They are judged according to what they say at the interview and the documents they present for their application.Au pairs don’t require any evidence that they’ll return. The age limit for the au pair was recently changed to 28 (coming to effect on 1st Aug), when will this be in place at the embassy in Kenya? Yes it is also in force here in Nairobi. Is it easier to get an FSJ/BFD visa than an au pair visa? Or is the presentation what matters? Every case is judged individually. The presentation at the interview and the documents is what matters most. There are currently many people applying to the social work visas. We only test the German for the social work visas but if they misuse it, then the interviews will be made more vigorous as they are for the au pair. Some people have complained that there are no application forms for Kenyans wishing to come to Germany for other purposes other than family reunion, marriage etc. Is there a reason for this? The Embassy has only 2 types of application forms, for the long term visa and for the short term visas. So for those wishing to apply for social work, work permits and other long term visas, they all use the same form, while all other short term applications e.g. for medical treatment etc use the short term visa application form. Advice to people planning to apply for au pair? Be genuine, tell the truth and don’t use fake certificates.